There is no place like home for the holidays. And why not make sure your company name and logo is in everyone’s home? 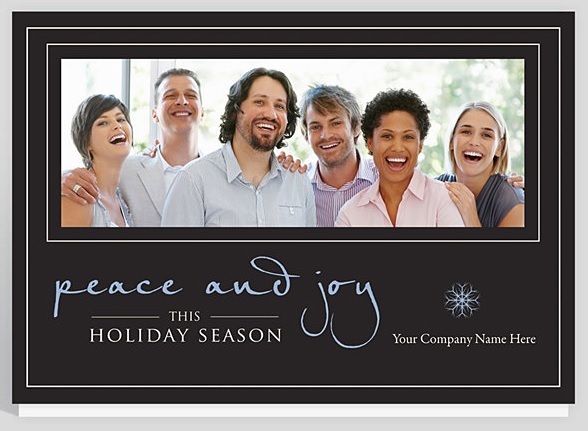 Design Your Own holiday card and send it out to all your perspective clients, your employees and vendors. With a little in house graphical work you can really create something magical. Your company name and logo is your identity. And let us face it Christmas is a magical time that everyone enjoys. Why not meld the two together this season and not only get good will out there…get YOU out there. Another thing you can do is take a company picture. Maybe everyone wearing some Santa hats, maybe some elves mixed in. Slap a little “Happy Holidays from” your company and you have a whimsical card that will get you on the side of someone’s cubicle all season long. Keep in mind there are many other ways to do this. You can do a card that has a regular “Christmasy” type image on the front with some text that has your company name on it as well. Either way works just fine. The key is do not forget to tell everyone happy holidays and do not forget to tell them who is saying it to them. We do it every year, a group photo of all the girls in the office and out favorite dentist boss. I get a lot of good comments about it when our patients come in after the holidays. Great way to cherish those memories with your favorite co-workers, especially if you change careers. This idea seems straightforward and to be assumed, but still let none of us forget how genius it is. This is something that’d be a shame to miss. Both options are great, but for smaller offices, I think the photo is great! Once you are photographing a sea of faces, like for a larger organization, it make less of a personal impact, for me at least! Putting a face to the voices adds such a personal touch! Next post: 12th Annual Create a Greeting Card Scholarship Contest – Round 1 Finalists Announced!